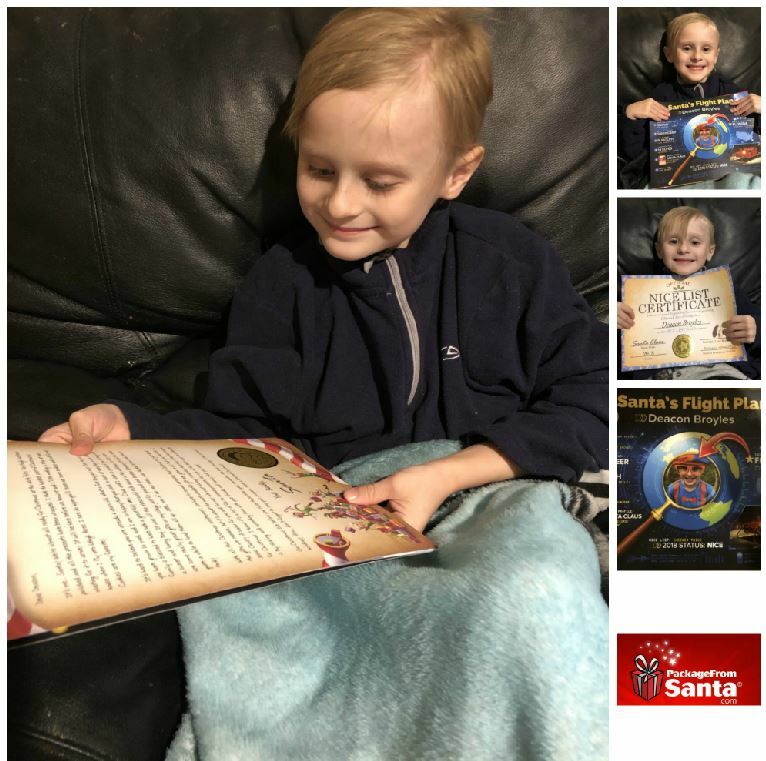 Package From Santa Review by Vicki Floyd | Surprise & Delight with Package from Santa! Surprise & Delight with Package from Santa! 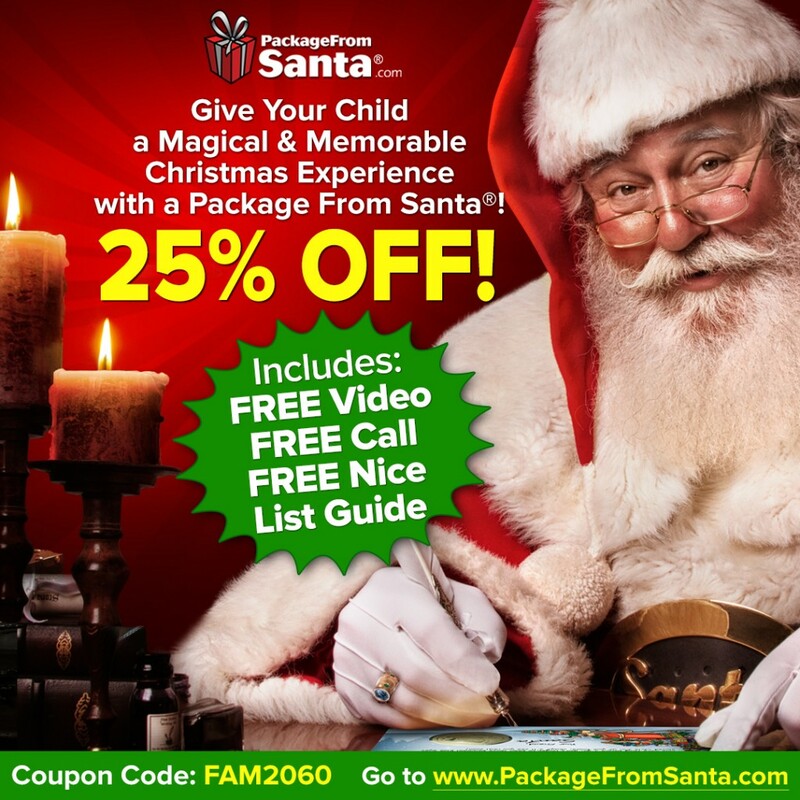 Christmas is a magical time for children, and to make it even more special, have Santa send your kids their very own package from PackageFromSanta.com! Our little guy loved getting a package from the ‘Big Man’ himself. Every detail in the package was thoughtfully created, and having our child’s name on Santa’s lips thrilled him! It’s simple to order and personalize, and there are three packages to choose from. Ours included a free personalized video and our little guy will also be receiving a phone call from Santa closer to Christmas. 3. Watch your kid go bonkers! To get your package, click here – you’ll thank yourself as you watch your children’s delight! I’m not sure what our favorite part is, but probably the video! Personalized video starring your child! Multiple adventures with Naughty or Nice verdict! Watch Santa say your child’s name! Includes child’s photo, name, age, and MORE! The REAL Santa! No fake beards here! Includes all of your favorite North Pole Characters! View online & share with friends! This is one of the most fun ideas during the Christmas season. Enjoy! And don’t forget to use promo code FAM2060 for 25% off!